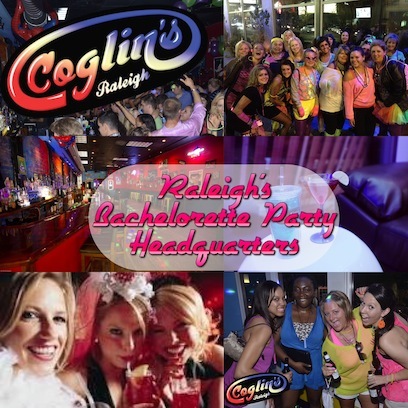 Coglin's Raleigh is the best venue for your Bachelorette Party. Crimp your hair, put on some neon leg warmers, and get ready for the most epic night of your life! From amazing DJs who play only the best 80s & 90s tunes to an unparalleled drink selection, Coglin's has everything you need to throw the perfect bachelorette party bash! We know you need a place to relax when you take a break from the dance floor. Reserve a VIP Booth and bottle service in our VIP back bar so your girls and you have a place to party in privacy as the nighty unfolds! What would a bachelorette party be without a few delicious drinks from the bar? 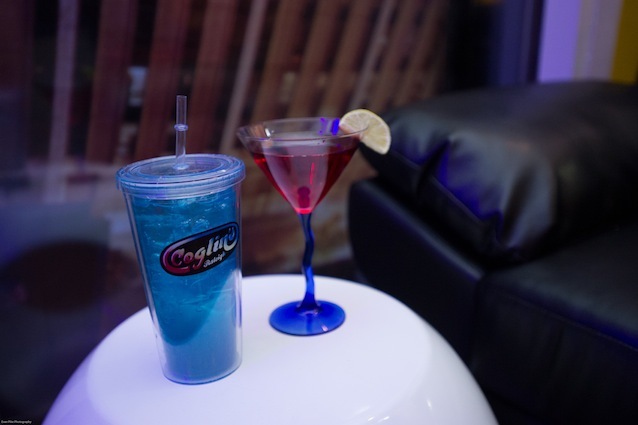 Sip on our signature Coglin's Coolers and cocktails to fuel up for fun all night long! Coglin's Raleigh has partnered with the folks at Key Lime Limousines to make sure you can arrive in style. We have plenty of catering options for your bachelorette party-- from sweet and savory desserts to light hors d'oeuvres to plated dinners, we have what you want to satisfy your appetite!